The body obtains vitamin D in two ways: through sun exposure, and by consuming certain foods or supplements. Since there are not many foods (e.g., oily fish and eggs) containing vitamin D and people are not getting the sun exposure as in the past, many individuals rely on vitamin D3 supplements. While it's best to obtain this vitamin from the sun and from food, natural supplements can save the day when it comes to bone and muscle health. 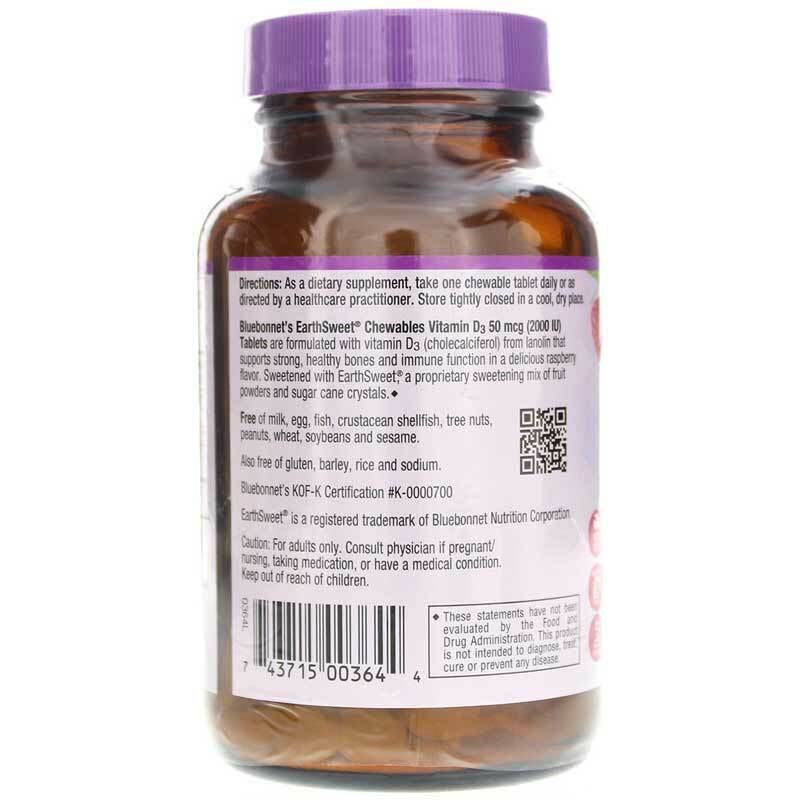 Bluebonnet offers a dietary supplement called EarthSweet Chewable Vitamin D3 2000 IU that provides natural vitamin D3 from lanolin. Bluebonnet Nutrition uses an all-natural sweetening process called EarthSweet. It is a mix of juice concentrates, including wild blueberry, strawberry, grape and raspberry, and cane crystals. 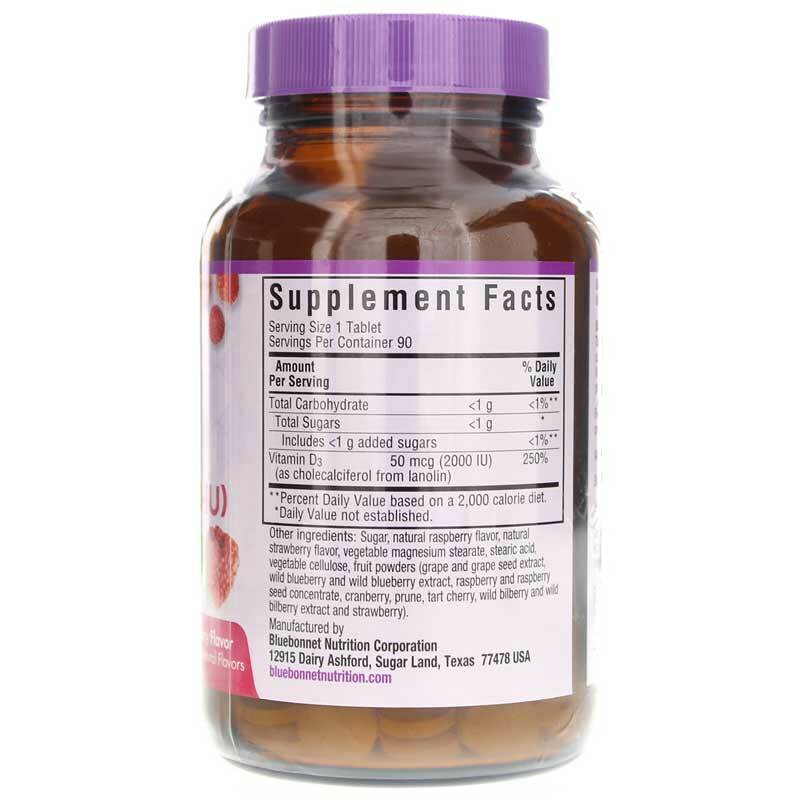 This supplement comes in chewable form for maximum assimilation and absorption. It does not contain barley, crustacean shellfish, egg, fish, gluten, milk, peanuts, rice, sodium, soybeans, tree nuts, wheat or yeast. 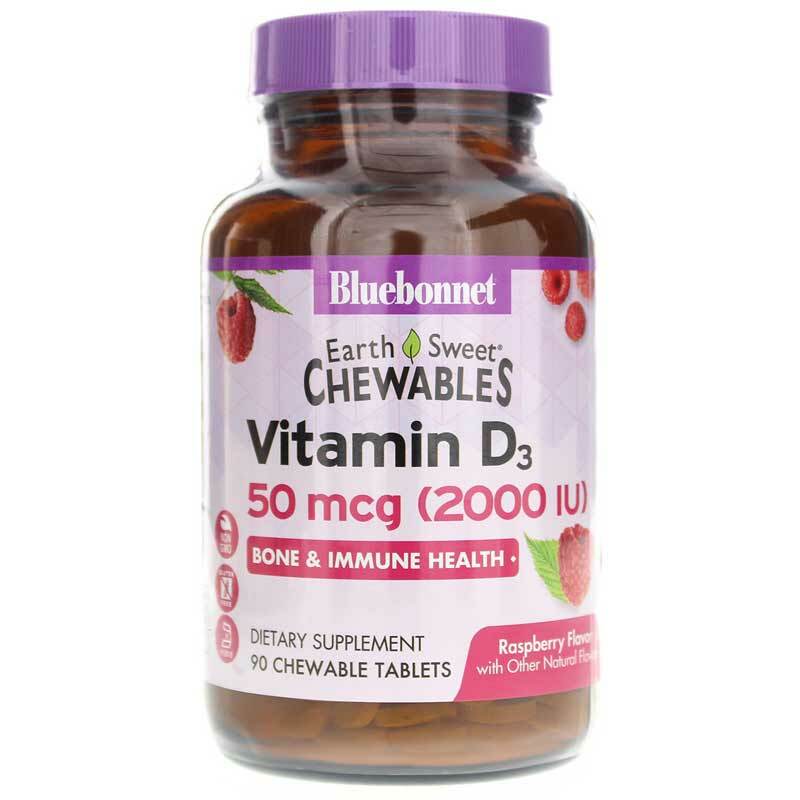 If you're looking for a dietary supplement that provides natural vitamin D3, check into Bluebonnet's EarthSweet Chewable Vitamin D3. Order online today! Contains NO: GMOs, milk, egg, fish, crustacean shellfish, tree nuts, peanuts, wheat and soybeans. Also free of yeast, gluten, barley, rice and sodium. Kosher. Adults: As a dietary supplement, take one chewable tablet daily or as recommended by a healthcare professional. I take three of these a day and since I take several vitamins, its really nice to have one that is chewable and taste so delicious. I look forward to ending my vitamin intake with these tasty treats. If I find myself getting a lot of sun one day, I may only take one or two, otherwise I take three of them to keep my D3 levels up.